Ready for a Magento Migration or Upgrade? We won’t let you drown. Choosing a Magento migration or to upgrade to the latest version, can be a great idea for your eCommerce business. Like any crucial, complex technological decision, it is best to approach the decision well-armed with information and confident in your partner. Having launched many Magento sites, we know the common elements of what creates the most successful Magento migrations. While we’d like to take complete credit for the success stories, the truth is that your expectations, preparation and actions are as important to the project as our qualifications and expertise. Expectations – Know what you are getting into. Have an idea about the steps involved before you commit to a course of action. It’s important to know and list out the important features you currently have that you wish to preserve. Most importantly, with respect to a Magento migration, be open to changing some of your processes and legacy features. 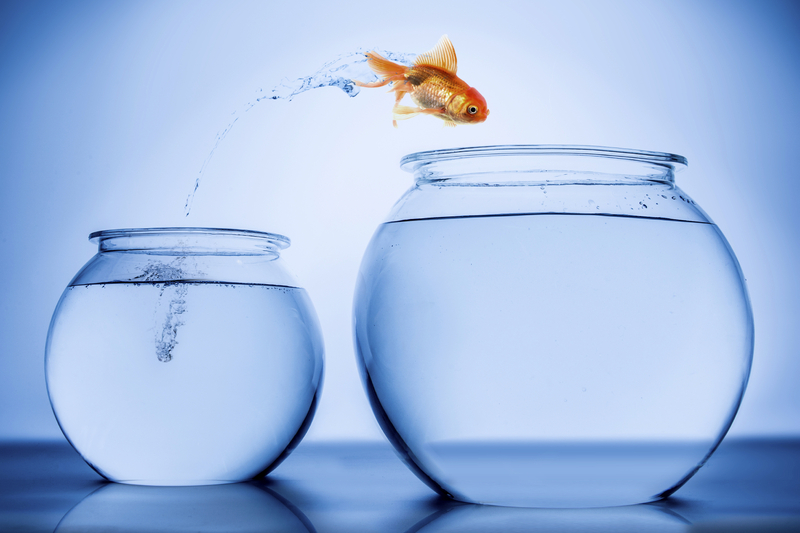 Flexibility is a top-line requirement when migrating or re-platforming. Don’t put a brick wall between some internal operational habits that might seem very important or immutable. Magento works very well along its designed paths – which have a lot of options and huge flexibility. If you are inflexible, you will be asking for a lot of added customization and expense. At InteractOne, the only way we’ll begin your Magento migration project with a detailed plan agreed upon by both parties. We’ve learned from experience that the time we invest in planning is the most transformative and effective way to start a Magento migration. We outline, estimate and agree to specific functionality, requirements, customizations, extensions, responsibility and process. With the total transparency that a comprehensive plan can provide; we want to avoid $urprises! Action – An experienced Magento Team. Our Magento migration teams includes Magento certified back end developers, a Magento certified front-end developers, and a project managers. Our team has Magento server configuration experience with a thorough knowledge of the Magento API and a rigorous process for development staging. InteractOne has completed dozens of Magento migration projects begun by other developers who made promises but had no idea of the scope of the work they had undertaken. The solution to completing a successful Magento migration within a reasonable budget is careful planning, based on a detailed but flexible set of specifications agreed to by you and the developer. When it comes to a Magento Migration, it really is important to leave it to the experts. Magento provides the scalability and features for business growth that offer merchants complete flexibility and control over the presentation, content and functionality of their online channel. An intuitive administration interface provides powerful marketing, merchandising and content management tools, giving merchants the power to create online stores that provide a rich shopping experience for their customers. Magento's community and enterprise platforms support the diverse and evolving needs of today's eCommerce businesses. With tens of thousands of installations worldwide, Magento Community Edition is the platform of choice for low-volume merchants who despite flexible content management and strong product configuration. Although the platform is open source, once you start adding extensions or configuring options, the task can overwhelm programmers who do not know Magento intimately. InteractOne supports Magento Community clients with our Certified Magento Development team, ensuring stable and feature-rich site performance. Developed for merchants who require extensive marketing tools and scalability built to a production-ready platform, Magento Enterprise is fully PCI compliant out-of-the box. InteractOne, a certified Magento Partner and Developer, helps you determine strategy, integrating Magento with you core systems, on time and budget. We have designed, deployed and customized Magento Enterprise for merchants in a wide range of industries. Let us support you with Magento’s unrivaled capabilities. Ready to discuss a Magento migration or upgrade? We understand that choosing a Magento migration from other eCommerce platforms, or even upgrading to the latest version, can feel daunting. Having launched many Magento sites, we know the common elements of what creates the most successful Magento migrations. Let InteractOne float you through it.